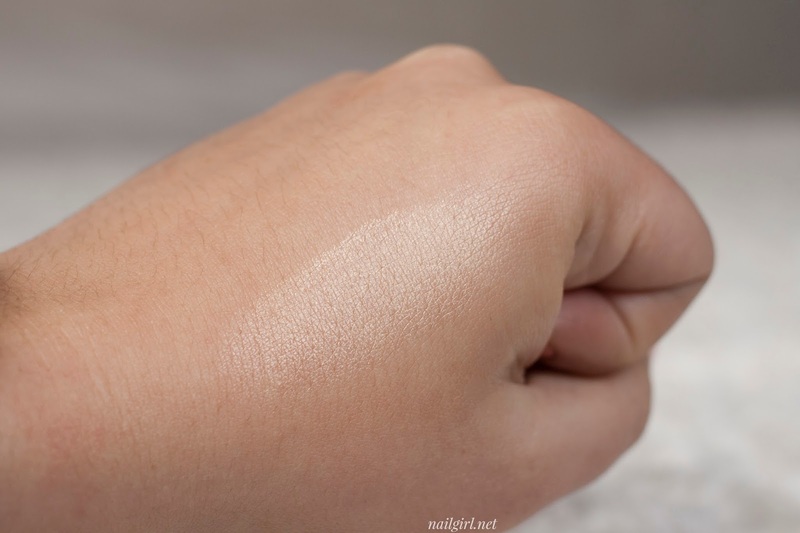 I have few highlighters in my rotation, and one that I find I reach more and more for lately is this Highlighting Shimmer Powder ($32) by Eleanor Dorn. 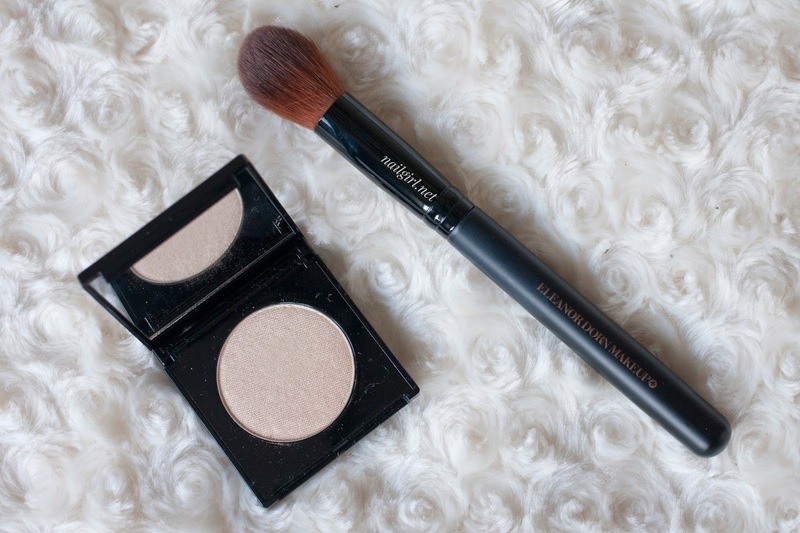 It's a gorgeous champagne/white gold highlight that is PERFECT for getting that super glowed up look. 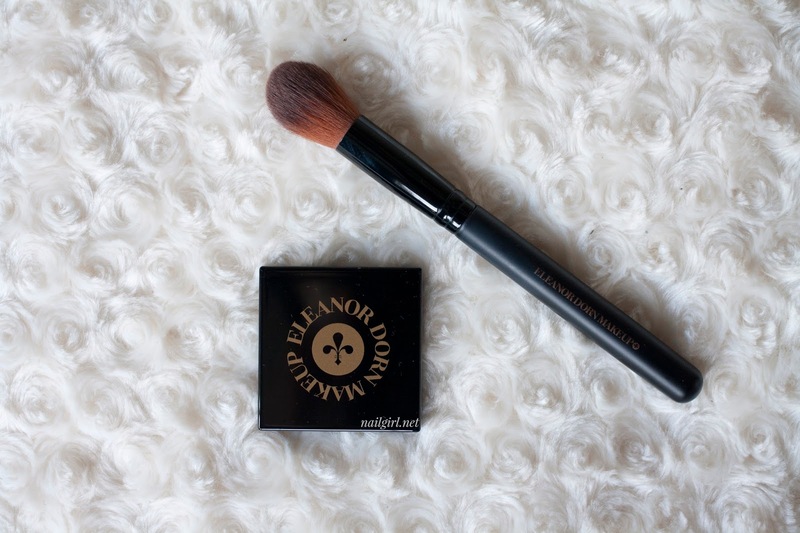 It comes in a neat little square compact with Eleanor's branding and logo embossed in gold on top. There's also a mirror in the compact, which makes it pretty ideal for travel. The formula itself is SUPER pigmented - I always get compliments whenever I wear to this to work or do a look with it on my snapchat. It's just so, so glowy and flattering. It's also very soft too, but not so soft that it crumbles. I use all my highlighters with the Eleanor Dorn #19 brush (which I know I've posted about so many times on here) but it's just so perfect for the job! My only gripe is that the pan is pretty small for a highlighter. The pan is the same size as the ones in the Australis AC On Tour powder contour palette, and is easily dwarfed by my other highlighters. The weight of the item is not listed on the packaging or on the website either, so I'm not sure of how much product is actually in the pan. 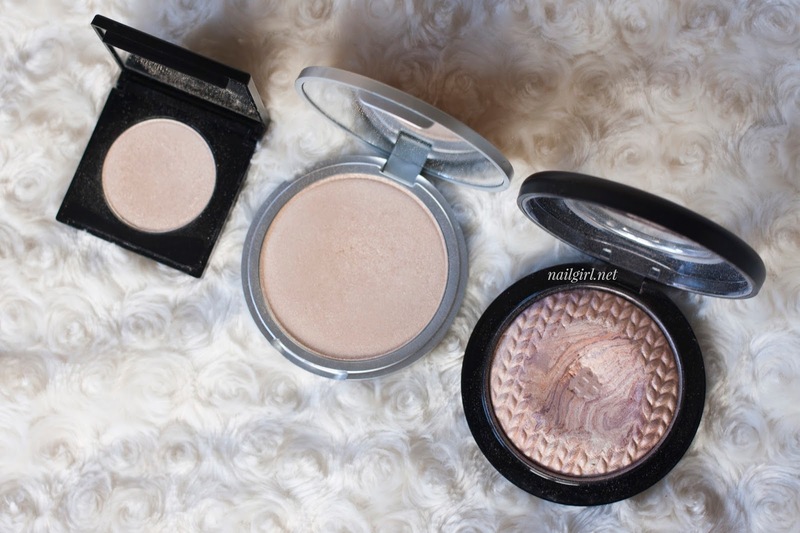 The other two highlighters here are The Balm Mary-Lou Manizer and MAC Perfect Topping. MLM is very, very close in colour - it's just a touch darker and more gold. 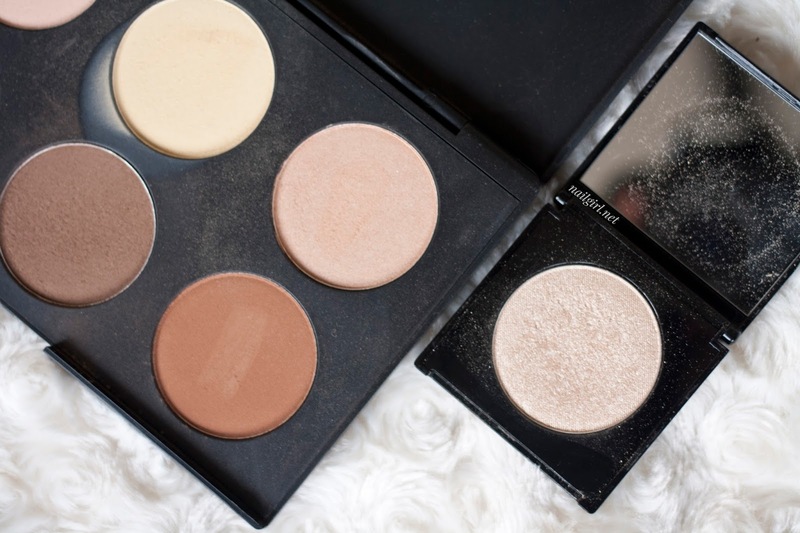 It's also slightly less soft, but it's still pigmented enough to create a gorgeous glow. Perfect Topping is much more pink and is quite different, but I thought it would be good to show the differences anyway. 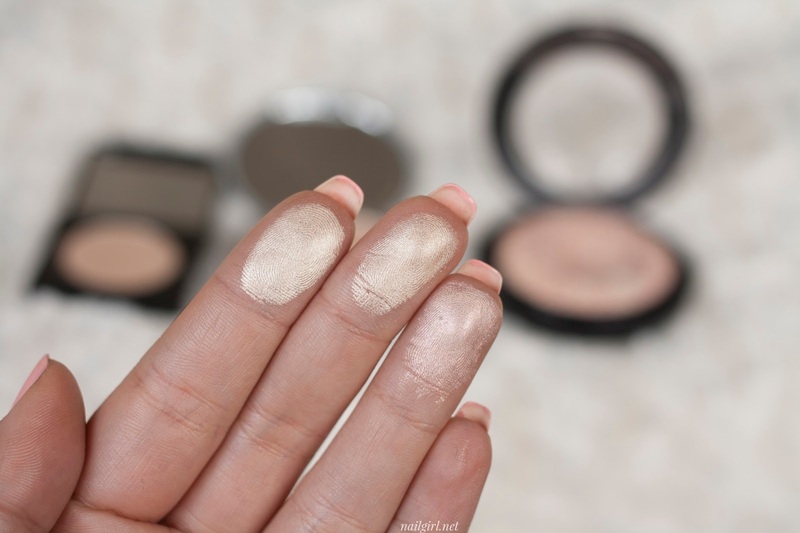 I'm actually really bummed that the highlighter is so small, because it would otherwise be pretty much a holy grail for me - I just see myself going through it far too quickly at a pricepoint I can't justify. It's definitely one of my more luxury items in my collection. It gets a solid 3.7 from me.